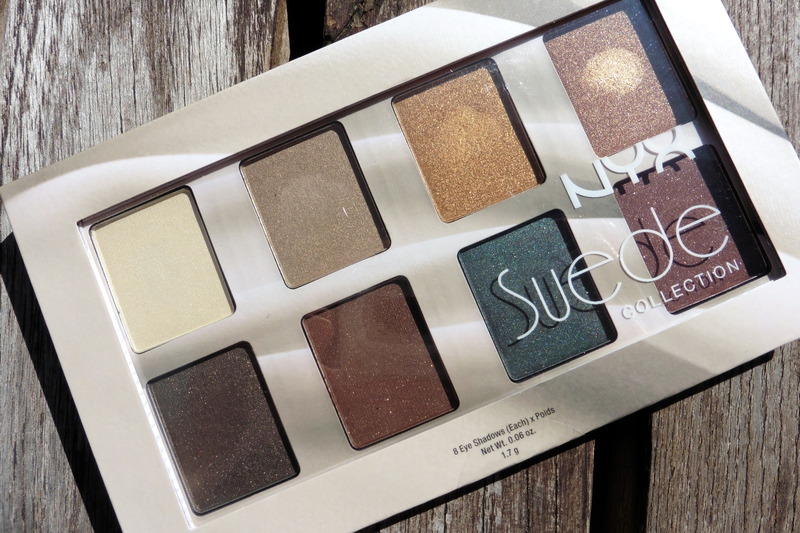 The NYX Suede Collection Palette is a collection of 8 eyeshadows, each with a metallic or shimmery finish. 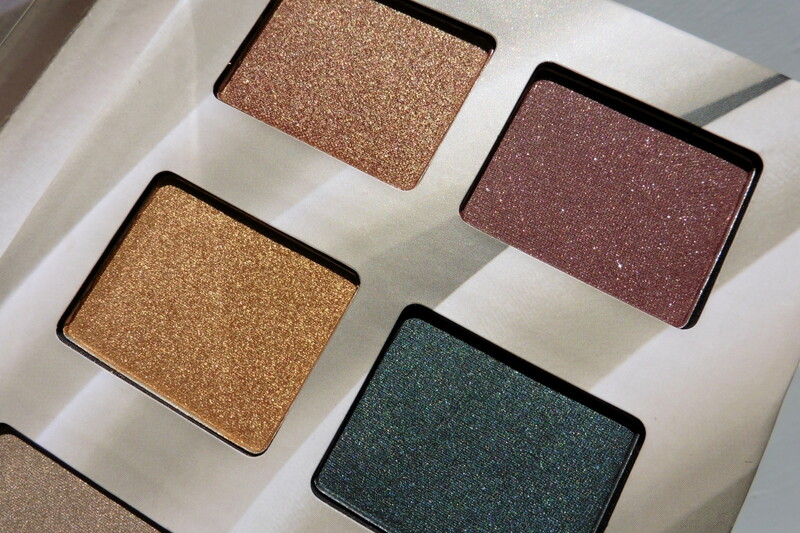 The shadows are reminiscent of Stila’s: the texture is almost as soft, lots of pigment, easy to blend. Surprisingly no fallout. 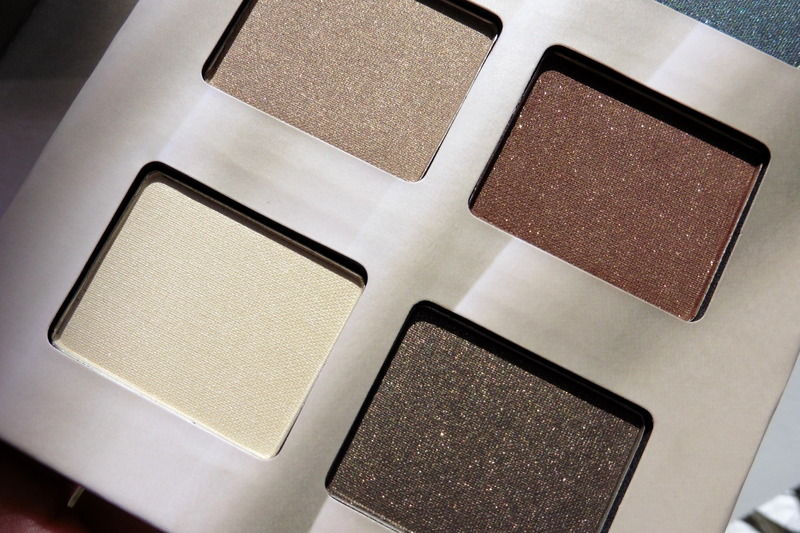 The palette is a great value; the whole thing is cheaper than one Stila shadow! (It’s $12 for 8 shadows x 0.06 oz. each; provided for consideration by NYX). Considering that I rarely do strong eye makeup (Safe is my middle name), this is an ideal palette for those few times when I want an eye-catching (har har) look. In the hands of someone more experienced (like Renee), this palette could have epic potential. The shadows are packaged in a cardboard shell that stays closed with a hidden magnet. 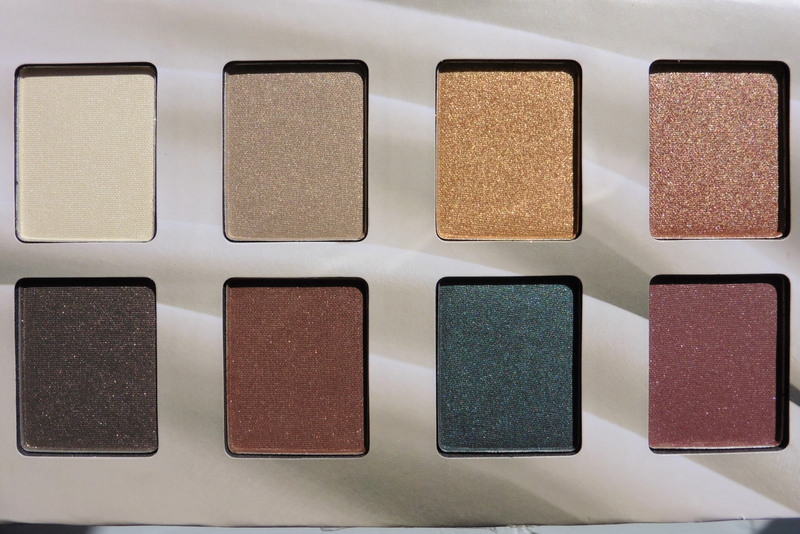 The top row contains the high shimmer and super metallic colors; the bottom row is less shimmery. Pros: Pigmented and easy to blend. Beautiful “statement” colors.